We would love for you to jump in and create your own mermaid project! August is Mermaid Month and we are celebrating with a special Julie Nutting challenge. 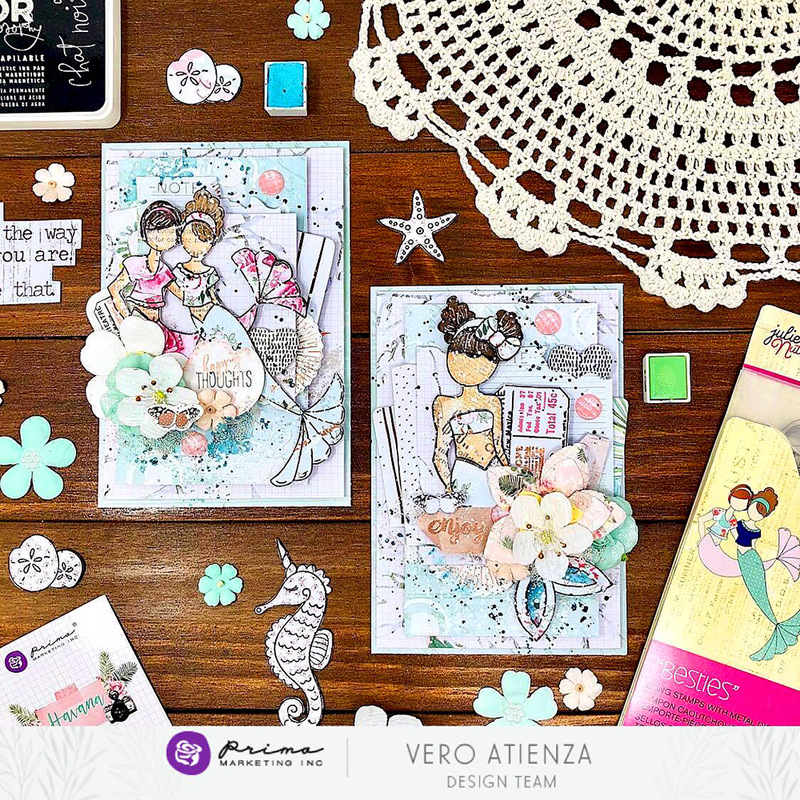 Create ANY project using one of Julie's mermaid stamps and enter in our club with this hashtag #JulieNuttingMermaids for a chance to win a wonderful Prima prize! Contest open August 1-31st. Multiple entries accepted. Open to all countries. Void where prohibited. One winner will be randomly chosen in early September. Prize import fees/taxes winner's responsibility. Contest not affiliated with Facebook.